CNN host Alisyn Camerota invited former New Hampshire Governor John Sununu on the show to discuss the recent passing of Sen. John McCain. When Camerota brought up the Trump White House not issuing a statement on the passing on McCain, the discussion took a dark turn. Sununu took a swipe at The Washington Post and CNN’s reporting. That did not go over well with Camerota. Sununu tried taking the discussion back to honoring his late friend but then added that she feels the need for the news media to try and turn everything into a Trump bashing event. Camerota pushed back saying that it was not the press who bred this division. “Camerota asked Sununu about the Washington Post’s report that the president personally rejected plans for a White House statement to honor McCain. Camerota interjected — noting that CNN confirmed the information. “We also have that reporting,” she said. The discussion continues on those lines and Camerota appears upset she is not going to get the interview she wanted. She tries too hard to bring out the negative in everything. Very ugly way to treat someone you invite in your show. Trump slammed CNN -saying that the network "is being torn apart from within based on their being caught in a major lie and refusing to admit the mistake." Bernstein, one of the CNN reporters on a story that cited sources as saying Trump's former attorney Michael Cohen claimed Trump knew in advance about a June 2016 meeting in which Russians were expected to share information on then-election rival Hillary Clinton. The story has since been called into question as Cohen's own lawyer Lanny Davis recanted, but CNN has stood by it. CNN responded to Trump's tweet. CNN is Fake News. Fake News is the Enemy of the People. MSNBC is just as bad. Thanks for the great article Lexy. 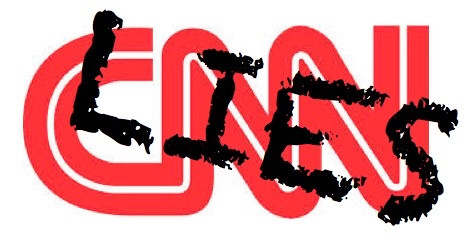 - CNN is Dead!!!! How DARE she do this. He handled her perfectly. Bravo to him! The disgusting manner in which CNN has conducted it's news reporting since the very first day Donald Trump announcdd he was running for President of the United States has been an embarrassment to not only themselves but to the American people. The repetative lies and deliberate undermining of this current administration us nothing short of treason. CNN's license to operate within the United States should be revoked. They should be investigated for their countless false stories "fake news" deliberately aimed at this current administration and held accountable to the maximum possible penalties including imprisonment of journalists if it applies. Being a journalist should not protect you from being prosecuted for illegal conduct. The media must be made to conduct themselves with responsibility and report facts truthfully and not be allowed to create false news to meet their personal political agenda. It's time to put them in their place. CNN's conduct is virtually no different than Russian meddling in our nations elections. In fact it's worse because it's subversive espionage being conducted within our country by our own citizens. Perhaps the reason re-runs of SpongeBob have higher ratings.